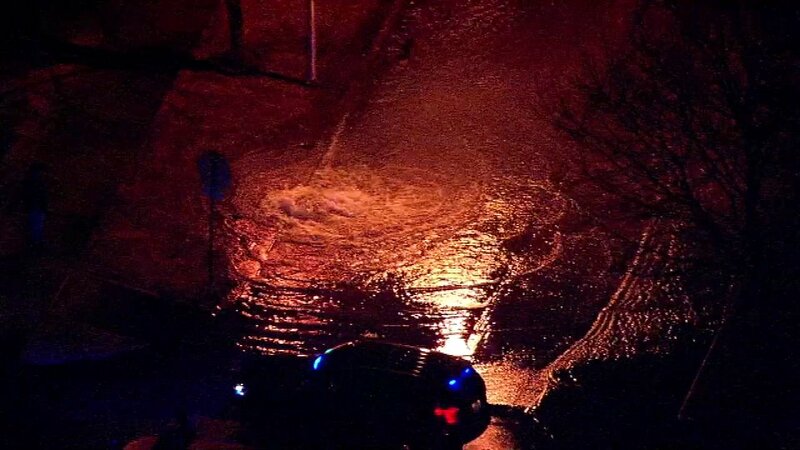 CHICAGO (WLS) -- A water main break on Chicago's Northwest Side flooded the area about a block south of Irving Park Road on Harlem Avenue early Thursday morning. The driveway of a fire station is also underwater. Drivers should avoid the area as crews work to repair the break.